Marvel certainly had an unconventional approach to publishing Star Trek. The company had licensed the comic book rights following the release of Star Trek: The Motion Picture. They had released a successful adaptation of the film as part of their Marvel Super Special line and had re-package the three-part adaptation as the first three issues of an on-going Star Trek comic book. 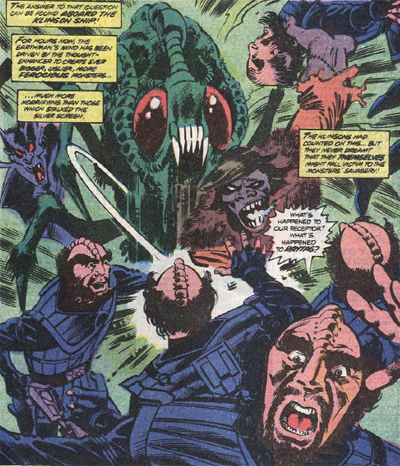 Written by Marv Wolfman and illustrated by Dave Cockrum, it was clear that Marvel had big plans for Star Trek. However, it also quickly became clear that they had no idea where they wanted to go with the comic. After all, they immediately followed up the big three-issue opening arc with a comic where the Enterprise discovered a haunted house floating in space. While it was certainly a catchy image, it wasn’t exactly a quintessential Star Trek premise. It seemed that Marvel had no idea what to do with the comic. 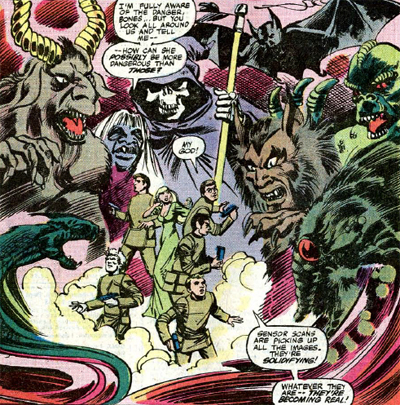 Writer Marv Wolfman wrote the first of the two issues comprising the storyline, handing the second issue over to Mike W. Barr. He would only stick around for two issues before handing the comic over to Tom DeFalco. DeFalco wrote a single issue before moving on. It is a rather disjointed comic book, one which lacks the strong narrative voices that DC would give to their late-eighties licensed Star Trek comics. Then again, it is probably easy enough to deduce all of this from the fact that the first original Star Trek storyline published by Marvel featured a haunted house floating in space.